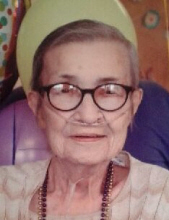 Carol L. Aitken, age 85, of Chrisman, IL passed away September 16, 2018 at Union Hospital in Terre Haute, IN. Carol was born May 6, 1933 to James and Lelia (Green) Rinesmith. She married Robert D. Aitken on August 10, 1952. He preceded her in death. Carol enjoyed bowling, bingo, and watching harness races. Carol was preceded in death by her parents, her husband, three brothers, and two sisters. She is survived by her two children: James (Jayne) Aitken of Paris, IL, and Karen Simon (Mark Jenson) of Chrisman, IL; one sister: Joyce (Paul) Sutton of Marshall, IL; five grandchildren: Jennifer (Mark) Aitken Honore’, Sharon (JW) Edwards Wiles, Phillip (Alicia) Evans, John (Lacey) Aitken II, and James W. Edwards; and seven great-grandchildren. Visitation will be held Thursday, September 20, from 5:00-7:00 p.m. at Krabel Funeral Home in Chrisman. Funeral services will be held Friday, September 21, at 10:00 a.m., with burial to follow at Camerer (Watertown) Cemetery. For those who wish, memorials may be made to Edgar County DO It Cancer Support Group. To send flowers or a remembrance gift to the family of Carol L. Aitken, please visit our Tribute Store. "Email Address" would like to share the life celebration of Carol L. Aitken. Click on the "link" to go to share a favorite memory or leave a condolence message for the family.